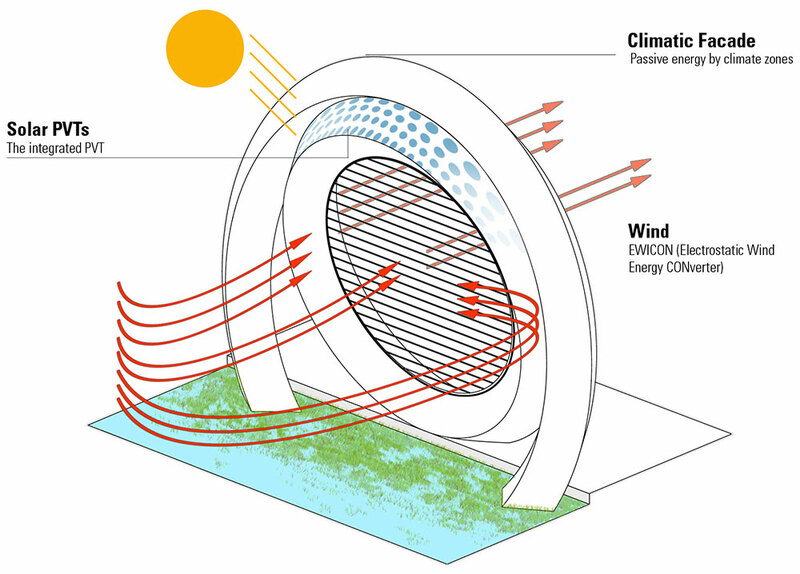 This Dutch Windwheel is much more than just a sustainable way to gather wind energy. The proposed 571-foot Windwheel is set to be built in the city of Rotterdamn, Netherlands and on top of converting wind energy, it will also house apartments, a hotel and even a coaster ride. The reason why this Windwheel is so many things in one is because the Dutch felt that sustainability doesn’t have to mean boring. 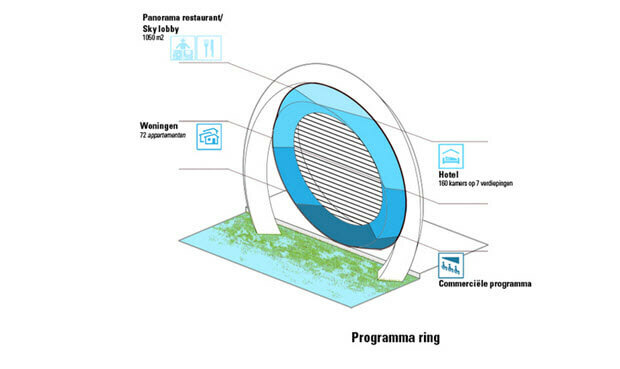 “We wanted to combine a big attraction for Rotterdam with a state-of-the-art sustainable concept,” explains Lennart Graaff of the Dutch Windwheel Corporation. The larger outer ring of the Windwheel will be where the coaster ride is featured. 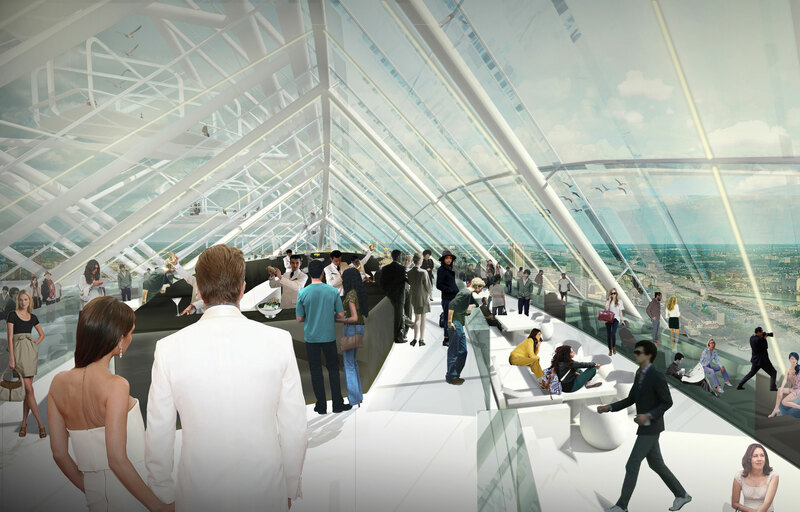 The coaster will have 40 pods that move around the ring and provide some great views of Rotterdam and it’s ports. The inner ring, which spans seven floors and even features a panoramic restaurant, is where the 72 apartments and 160 hotel rooms will be housed. In the very center of the Windwheel is the bladeless (and silent) turbine, with the entire structure being built atop an underwater foundation. According to GizMag, the technology they are using is called electrostatic wind energy converter (EWICON,) which was developed at the Delft Technical University. With EWICON, harnessing the movement of charged water droplets in the wind generates electricity – thus the turbine is less noisy and easier to maintain than other turbines. To be even more sustainable, the Windwheel will feature photovoltaic thermal hybrid panels for additional electricity and collect rainwater to be used in the building. Lastly, the designers behind the Windwheel are planning for the building to be made with locally-sourced materials, which could one day be reused somewhere else. 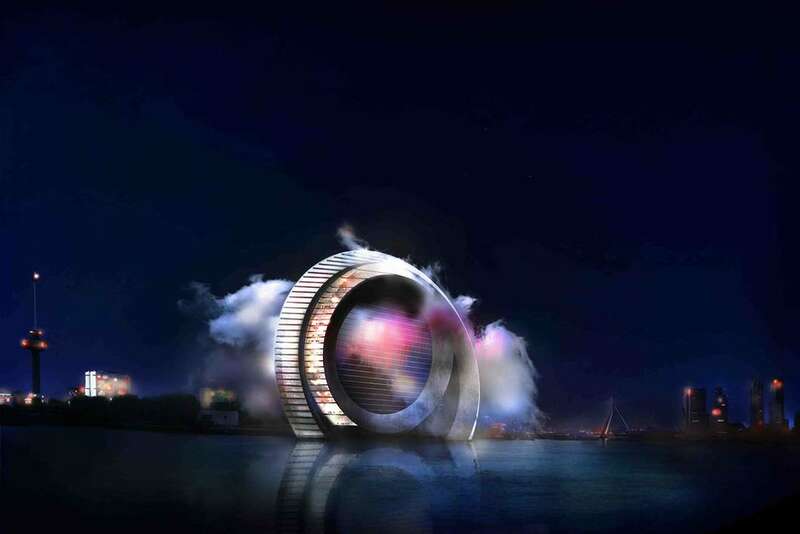 While the Windwheel has already been in development for over two years, the earliest it would be built and ready for use is sometime around the 2020’s, with the hope that it will attract 1.5 million people per year. What do you think, would the Windwheel be an interesting place to live in or even visit?